Viva Quetzal, playing contemporary North American jazz and rock and the indigenous rhythms of Latin America, will perform on the lawn of the Sterling and Francine Clark Art Institute on Tuesday July 27 at 6:00 pm. The public is invited to bring family, friends, lawn chairs and a picnic to this high-energy, multi-cultural concert. Barbeque fare is available for purchase and museum exhibitions Picasso Looks at Degas and Juan Muñoz are open until 6:00 pm. In the event of rain, the concert will be held in the auditorium. Concert admission is free. Viva Quetzal embodies and emphasizes the four major cultural influences that have shaped modern Latin American music: the indigenous, the West African, the Iberian, and the American. 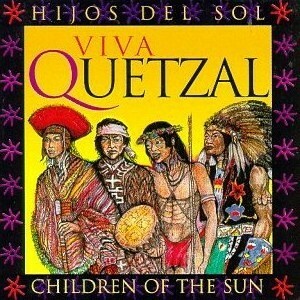 Viva Quetzal's musicians play over thirty familiar and exotic instruments, in order to create the unique musical textures and tonalities of the lands and cultures of the Americas. These instruments are the product of native aboriginal musical craft traditions, as well as from African, European and North American sources. The band includes long time members Roberto Clavijo, Juan “Manolo” Vazquez and Abraham Sanchez. Clavijo was born in Chile where he toured South and Central America with the group Guamary. A member of Viva Quetzal since 1993, he performs with indigenous instruments including quenas, zampoñas, charango, Venezuelan cuatro, and vocals. He is also a skilled folkloric wind and stringed instrument maker. Juan "Manolo" Vazquez, who was born in Puerto Rico, has been playing bass guitar for 44 years and is one of the original founders of Viva Quetzal. Since arriving in the New York region, he has been exposed to Woodstock, Led Zeppelin at the Aerodrome and the great psychedelic movement of the time, and continues to play with a wide array of musicians and folkloric groups. Abraham Sanchez hails from Venezuela where he started playing the cuatro, a small four string guitar, at the age of five. He studied at the Conservatorio de Musica de Maracay and was the director of Adoniram, a music school in Venezuela. In recent years he has had the opportunity to travel to Italy, Canada, Mexico, and Honduras teaming up with local musicians for concerts and workshops. Jon Weeks, Joe Belmont and Jeff Nisenbaum also perform with the band. Weeks performs on flute, saxophone, wind synth, quena, congas, and small percussion. He studied at Berklee College of Music and performs with latin, jazz, and rock bands such as Sol Y Canto, Orquesta Unidad, Ray Gonzalez, Jose Gonzalez, and The Temptations. Joe Belmont signed his first record contract at the age of seventeen and now serves as adjunct faculty member of the music departments at Amherst College, Dartmouth College, and the University of Massachusetts at Amherst. He has been with Viva Quetzal since 1992 performing on classical and electric guitar, and Colombian tiple. Jeff Nissenbaum, a professional drummer for over 15 years, performed for the Lee Strasberg Creative Center in Los Angeles and the Bright Moments Festival. In addition, he has performed for and recorded with numerous contemporary groups of varying styles, including Ben Demerath, Steel Wave, and the Muze Jazz Ensemble.